Long has the thick, full-eyebrowed look reigned supreme in the beauty world – but could that all be about to change? 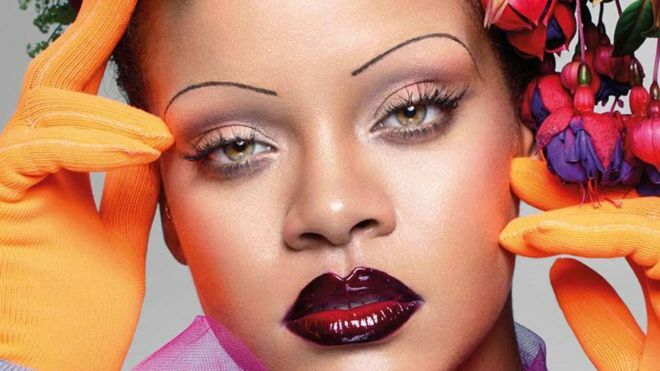 Rihanna’s September Vogue cover shows the superstar with her eyebrows seemingly removed and ultra-fine, pronounced arches pencilled in their place. But would women really ditch their carefully grown-out eyebrows for such a dramatic look? “It feels really fresh and is such a big statement,” says Rosie Green, beauty director at Woman & Home. “It’s such an amazing beauty trend that people can tap into with very little money – unlike many of the bags and clothes that are featured in Vogue. “I think after this there will be a change – the real drawn-on brow will certainly start to go away,” she adds.